Mussoorie, debatably known as the “Queen of Hills”, is a tranquil little hamlet nestled in the Himalayan Range of Garhwal hills. 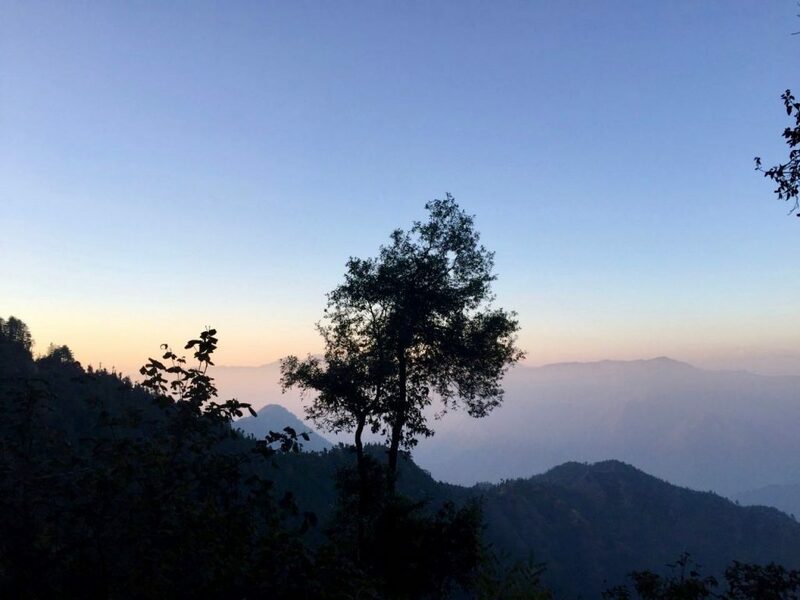 A very popular choice amongst honeymooners and family travelers alike, Mussoorie has always been a favorite spot for a weekend holiday from Delhi in Uttarakhand. With its always pleasant, sometimes cold weather, the town makes for a perfect getaway, especially in the scorching Indian summer months. The place is engulfed in yesteryear charm, thanks to its popularity in the British Era. The Raj has left its mark in many hill stations across the nation – Mussoorie is one such place! Of course, the archaic architecture of hotels and churches splattered across the terrain along with the famous Mall Road and even the tiniest details of old-timey lamp posts will for-sure transport you to the colonial period. Shimla, Ooty, Darjeeling, Musoorie all claim stake to the Queen of Hills title. Having lineage from Shimla, my completely biased view would say Shimla wins by a landslide (erstwhile Summer Capital of India, you guys!!!!). What do you think? Comment below! This homestead is at a distance of 285 km from Delhi which makes it the perfect family weekend getaway from Delhi. But, there’s so much to do in this little town and the surrounding region that one such trip would never be sufficient. Mussoorie is a hotspot for various treks nearby in the Uttrakhand region. During the monsoon, the town is covered in lush-green! 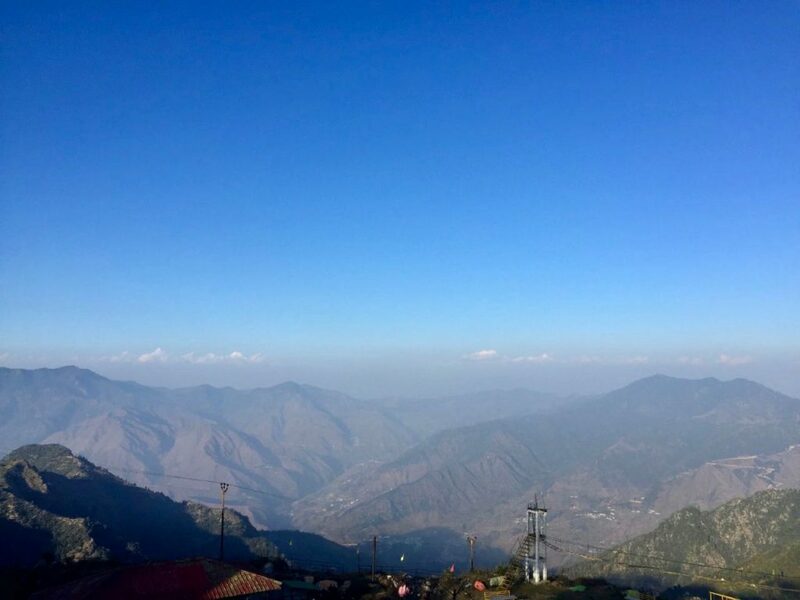 With the valley being jeweled by the clouds up above, the town presents for a perfect opportunity to be on your feet and explore the quaint little corners of this world! Also, winter presents a completely different landscape, so long as you’re prepared to deal with the throngs of tourists. This popular hill station Mussoorie is located at an altitude of 7464 ft and resides in the Dehradun district. Hence, in winters, very nearby Mussoorie, you can actually experience the snowfall around Surkanda Devi or Dhanolti. Although Mussoorie looks beautiful no matter what time of the year you visit, the most pleasant weather is from April to June. The monsoon season is easily avoidable – it might not be the safest time for road travel in the landslide-prone Himalayan ranges. But, if you enjoy the extreme cold conditions or want to experience snowfall then December to February will be the right time to go. 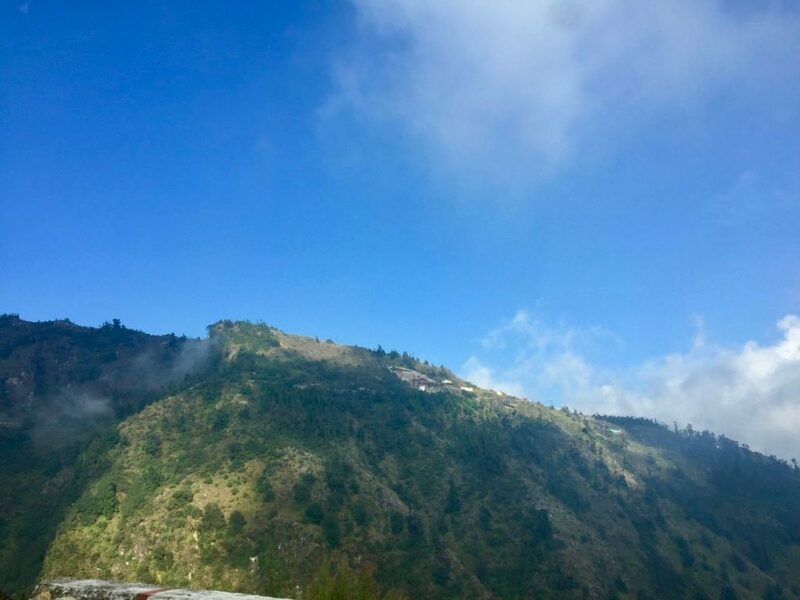 The Mussoorie temperature in summer months witness a maximum high of 25-35 C in May/June, while the winter cool hovers around 0-4 C in December/January. However, I must warn you that both summer and winter months are tourist seasons for the city and if you’re looking for some peace and tranquillity, you should look at off-season timings. For some seclusion from the hustle & bustle, I would recommend visiting from Mid-February to April. Mussoorie is very well connected by road. In order to reach your destination of Mussoorie, you’ll have to reach Dehradun, the capital Uttarakhand. Since local cabs in Mussoorie tend to be an expensive affair, I would suggest having your own vehicle, and driving up to Mussoorie if this is a viable option. If not, worry not – there are many ways to reach the town. The nearest airport is Jolly Grant Airport, Dehradun, which is located 60 km from Mussoorie. The journey will take you approximately 2 hours of driving time and you can even book cabs online. 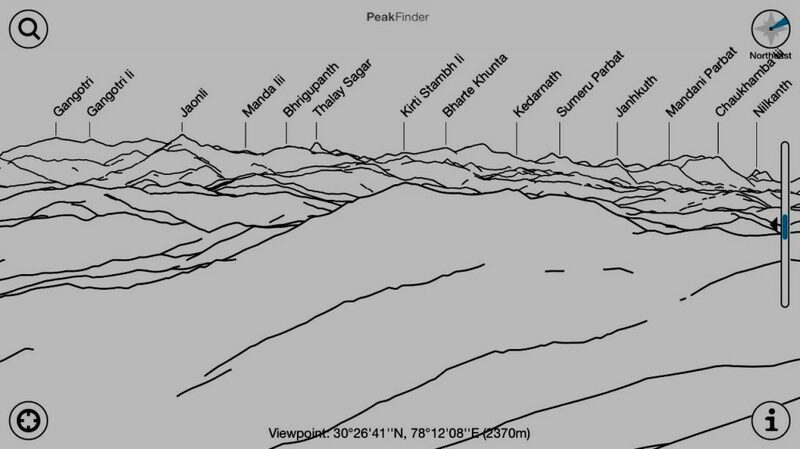 Again, the nearest train station is Dehradun, located around 35 KMs from Mussoorie. There are cabs available here for hire & share as well. They have a fixed charge of INR 1000. Bus service is also available. There are multiple trains running between Delhi & Dehradun. The most convenient journey can be made in Shatabdi, which leaves at 6:45 AM and reached Dehradun at 12:50 Pm. Another great option is Nanda Devi AC Express which leaves at 11:50 PM and reaches at 5:40 AM in Dehradun. The overall journey takes around 7 hours of driving time. This is a valid option and shall save you a tonne of money in terms of hiring local cabs at Mussoorie. You can also rent out self-drive cars in Delhi. Only use this option if you’re a comfortable driver in the hills. While the journey is not tedious and the roads are mostly well maintained- if you’re not confident about driving in the hills, it is better to be safe and use other modes of transport. Do not forget to check our list of things to carry on a self-drive trip to the Himalayas. Lots of options are available and the connectivity is great in terms of using public transport to reach Mussoorie. There are regular UPSRTC and URTC buses which run from Kashmiri Gate, Delhi to Dehradun. You can catch any of these buses and can reach Dehradun. And then you can catch the bus for Mussoorie which takes one and a half hours to reach Mussoorie. Bus costs from INR 300 to 800 from Dehradun. Reach Dehradun by train/air and then you can hire private cabs to take you to Mussoorie. You can even hail shared cab services at both the junctions. From the airport, a one-way journey will cost you around INR 1400, while from the train station, the cost would be about INR 1000 for private vehicles. Shared cabs will cost lesser and you will need to bargain for the same. Because of the extreme ease of reaching this hill station, there are not many spots left undiscovered in Mussoorie. If you’re traveling in the season time (i.e. Summer & Winter months), be prepared for people at all location you’ll plan on visiting. That being said, it doesn’t mean that the vacation will be lesser fun. Mussoorie is often flanked as a honeymooners’ paradise thanks to the extremely scenic and romantic vibes around the region. Indeed, the green flora of the Garhwal hills along with the distant snow-capped mountains make for such a delightful view. The center of all attractions, however, remains the Mall Road. Camel’s back road nature walk is also a must to enjoy the spectacular natural views of the hill-station. Waterfalls, old churches, Tibetan influence with lots of little cafés and temples, the lakes & gardens all add up to provide for the perfect Mussoorie experience. 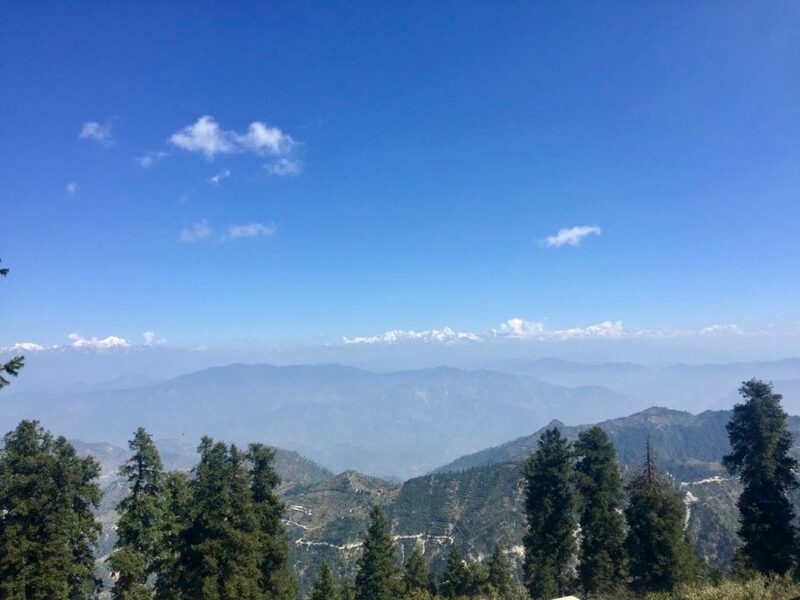 Must visit tourist attractions include Kempty Falls, Lal Tibba, Happy Valley, Gun Hill, Mussoorie Lake, Christ Church, Sir George’s Everest House, and of course the Library! Also, the cable car from Jhulaghat to Gun Hill makes for a cool experience! Of course, being a tourist town, there are a lot of shopping avenues – especially The Mall! From mountain biking to rappelling and climbing a mountain; from skywalks to ziplining; from ATV rides to paragliding, Mussoorie has your adventure needs covered. Try your hand at fishing and catch the coveted Trout Fish or head out further and visit Benog Sanctuary or the Jabarkhet Wildlife Sanctuary, both providing ample opportunities for trekking and sighting wildlife. Although many people follow their own itinerary, if you’re a first time visitor and are planning on exploring the region for a weekend (or an extended weekend), the following tentative plan will be of great help. Reach Dehradun by early in the AM. You can do so by leaving late at night from Delhi on a train/bus or take an early morning flight to Dehradun. Once you reach Dehradun. take a bus to Mussoorie or hire a cab. It will take you two hours to get to your destination. Alternatively, you can drive from Delhi to reach Mussoorie directly. There are many gorgeous hotels in Mussoorie. Choose as per your need – you can even not book at the hotel prior to your visit and just roam about the quaint little town and pick one you fancy. Once all the checking in formalities are done and you’re settled, go out and explore the town. There are a lot of things to do in Mussoorie which makes it one of the best weekend getaways from Delhi. First things first, your day will be jam-packed today. Try to ensure that you’re on a timeline and start off your day as early as possible. You can even club some of these activities on other days as well or push your itinerary for a longer duration and follow through on a more relaxed pace. The choice is yours. Start your day off by visiting Kempty Falls, an amazingly beautiful waterfall. Situated around 15 km from the main town of Mussoorie, you will be requiring a vehicle for transportation. You can check with your hotel for getting a cab for the entire day and this will save you in longer duration. Enjoy the waterfall & scenic beauty. There is a tonne of eateries nearby, given that this is a touristy spot. Your next destination can be George Everest which is a relatively secluded area of Mussoorie. Roads leading up to this place aren’t that great. You might even need to hike for a KM or so if your car isn’t able to make the uphill journey. However, it will be well worth the effort as the view from the top is insane. I strongly urge you to try your hand at some adventure activities, you can try Zip Lining at George Everest. You can also visit Laal Tibba during your first day in Mussoorie, which is one of the highest points of the town. There is an entry fee of INR 20. Laal Tibba offers some majestic views of various peaks of Himalayas. The panoramic sights of breath-taking skies & views around will definitely make you want to stay here for as long as possible. Certain views are such that you can never look to your heart’s content – try as you might. Of course, these are a tonne of activities and this is a jam-packed schedule – bound to keep you occupied for the entirety of the day. Return back to your hotel in the night and then you can take a walk on Mall road and explore the cuisine scene of the region. The food is exceptional in Mussoorie, there is something about the mountain air that makes everything taste amazing. Now that you’re settled into the Pahadi life, start off your day by waking up early to catch a breath-taking sunrise. 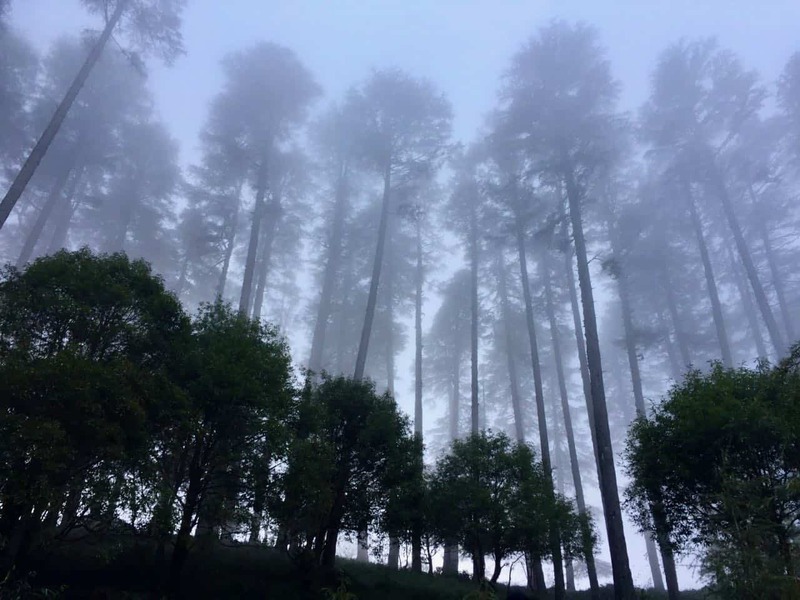 Post a morning walk and breakfast, I suggest you visit Dhanaulti today. Dhanaulti is a small hill station at a distance of around 24 km from the busy town of Mussoorie. The roads are in good condition but there can be a little problem while driving in the months of January and February due to snow. The drive takes around one and a half hour. There is an eco-park in Dhanaulti which is a delight to visit as it’s surrounded by nature. You can also visit Surkanda Devi temple in Dhanaulti which is devoted to the Goddess Parvati. The visit to the temple involves a trek of 1.5 km from Kaddukhal village in Dhanaulti. After exploring the whole day in Dhanaulti, you can return back to Mussoorie by evening. This is the day you leave for home. If you’re looking for an extended journey then there are a lot of activities you may fit in here and push the leaving date to a later time – the choice is yours! Mussoorie is full of beautiful hotels, dripping in the colonial charm. You’ll come across all sorts of options from luxury hotels to hostels! JW Mariott is an especially beautiful property with exceptional views and surroundings. Other luxury hotels include Fortune Resort, Welcome Hotel – The Sovoy (ITC Hotels). Country Inn is another decent property with lesser charges. In terms of budget travel, Bunkostel is a really nice place for backpackers and solo travelers. You will only find dorm beds here. Prices are around INR 500 per bed. Interesting Tip: Did you know about this offbeat place in Uttarakhand called Khirsu? Situated on the Mall road, this place makes one of the best omelettes. The shop has also been featured in various magazines. You can’t miss this place, it is always thronged by locals and tourists alike and it is such a great visual, watching the two chefs go on with their expertise of making omelets. A double storeyed restaurant on Mall Road, serving authentic and delicious Chinese cuisine with an exhaustive menu. Food is to die for – momos are a must and I especially enjoy their Thupka. Also, it is reasonably priced, which is always a plus in my books! Another gem of a place serving amazing food with an added advantage of an amazing view. A very cozy place, the café has a bunch of options in terms of quick bites and continental foods. This is an artistic little café with amazing coffees and shakes. Situated on the Mall Road as well. The desserts are insanely good and the Nutella cake will make your day! Chic Chocolate: Synonymous with Mussoorie itself, this quaint restaurant/café has amazing homemade chocolates along with some lip-smacking old-school pizzas, etc. Their Sticky Jaw toffees make for a great gift to take back home. There is no problem with number of ATMs in Mussoorie. Most of the shops and restaurants will also accept the payments through the card. Other things gaining popularity in terms of mode of payments are the zillion online payment options, including Paytm, Mobikwik etc. Mussoorie is one of the most popular towns in Uttarakhand, so it does not have any network problems. All the networks are available. 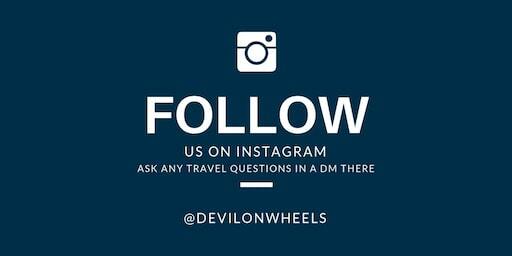 Interesting Tip: Are you looking forward to a weened trip from Delhi and not interested in Mussoorie? Well, you can always check another weekend hide out from Delhi – Pangot. 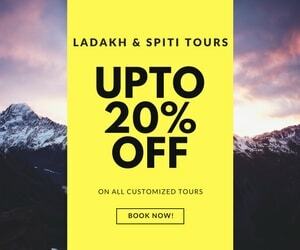 I think I mentioned all the important things with the help of which you can plan your trip to Mussoorie and Dhanaulti. In case, if you want to know something else please drop a comment and we’ll try to help you in every way possible. Just remember to be a responsible traveller while visiting this town as it’s already been affected a lot by tourism. 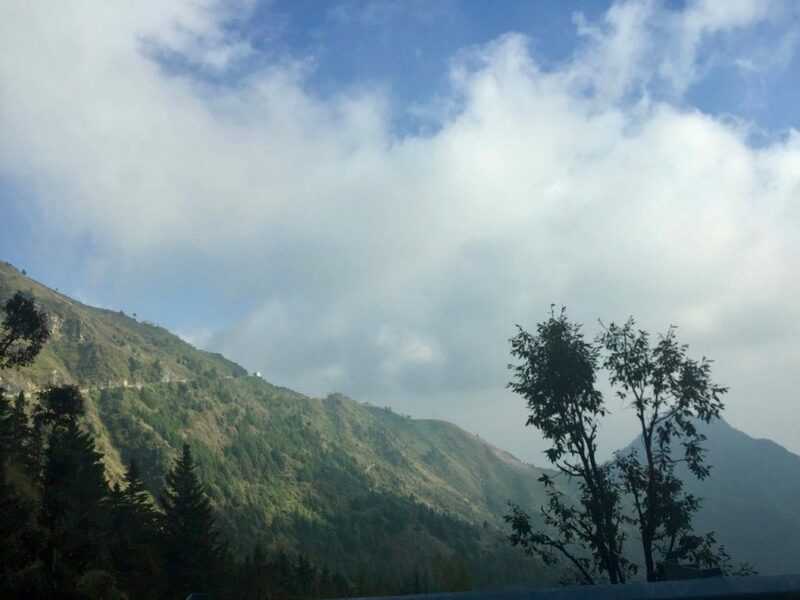 If you know your friends or family are planning a trip to Mussoorie, do share this article with them to help them make a memorable trip.